From top sights to star-studded events, Chicago has a very long list of free and wallet-friendly things to do and see. Lincoln Park Zoo is a 35-acre wildlife oasis standing before a glorious city skyline. Located within verdant and expansive Lincoln Park, the zoo is one of the country&apos;s oldest free zoos, founded in 1868. Just next door, Farm-in-the-Zoo transports you to a Midwestern family farm in the middle of the city. Situated along idyllic Nature Boardwalk, a prairie pond ecosystem, this interactive farm gives you the chance to feed cows, pet goats and see chickens, pigs, rabbits and ponies up-close. In the winter, the Farm is the location of a wonderful ice-skating rink, while ZooLights illuminates the Lincoln Park Zoo grounds with colorful displays of light, filling the attraction with festive spirit. Beauty and tranquility imbue the Victorian era Lincoln Park Conservatory greenhouse. Oxygen-rich air, fragrant tropical flowers, ancient ferns and towering palms are among the multi-sensory experiences to be had here. Built between 1890 and 1895, the historic conservatory includes four display houses: The Palm House, Orchid House, Fern Room and Show House. And just outside, you can wander the Formal Garden, Bates Fountain, the Von Schiller Monument, the Old English-style Grandmother’s Garden and the Shakespeare Monument. Check out the mind-bending reflections at Cloud Gate (aka the “Bean”). Take a selfie with the virtual reality wonder of Crowne Fountain. 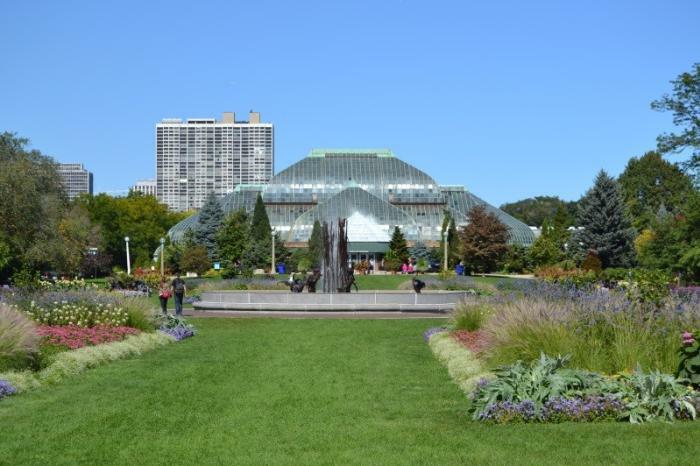 Wander the breathtaking native plantings at Lurie Garden. Marvel at the architectural splendor of the Jay Pritzker Pavilion, as you lay out on the lawn to watch a free outdoor film screening or concert. Climb a wall at Maggie Daley Park, or rollerblade the skating ribbon, which transforms into one of the city&apos;s most innovative ice "rinks" in the winter months. McCormick Tribune Plaza also transforms into a picturesque ice-skating rink in the winter, with the city&apos;s jaw-dropping skyscrapers and the Bean as its backdrop. 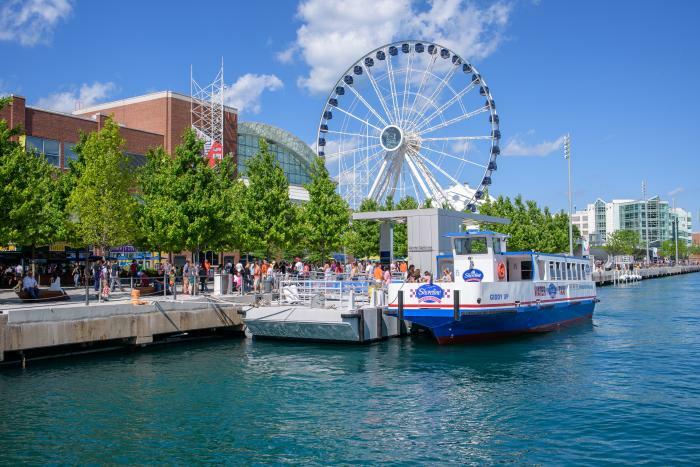 With 50 acres filled with gardens, amusement rides, shops, eateries and attractions, it&apos;s no surprise that the colorful playground known as Navy Pier remains a top Midwest tourist destination. There&apos;s no cost to enter, and just a stroll along the waterfront boardwalk to see the downtown horizon is worth a trip. On top of that, FREE fireworks at Navy Pier fill the night sky each summer from Memorial Day to Labor Day, so stick around every Wednesday and Saturday evening. Opened in 1897, the "People&apos;s Palace" stretches from Washington to Randolph Streets, and Michigan Avenue to Garland Court. The building was designed in the Classical Revival style, taking inspiration from the monumental structures of Ancient Greece and Rome. Most notable is a luminous 38-foot-diameter dome by the Tiffany Glass and Decorating Company of New York. Restored in 2008, it is the largest Tiffany dome in the world, containing approximately 30,000 individual glass pieces. The Chicago Cultural Center is listed as a Chicago Landmark and on the National Register of Historic Places; FREE 45-minute building tours are offered at 1:15pm from Wednesday through Saturday. Best of all, critically acclaimed art exhibits, performances, lectures and film screenings are available to you every day of the week for free all under one roof. 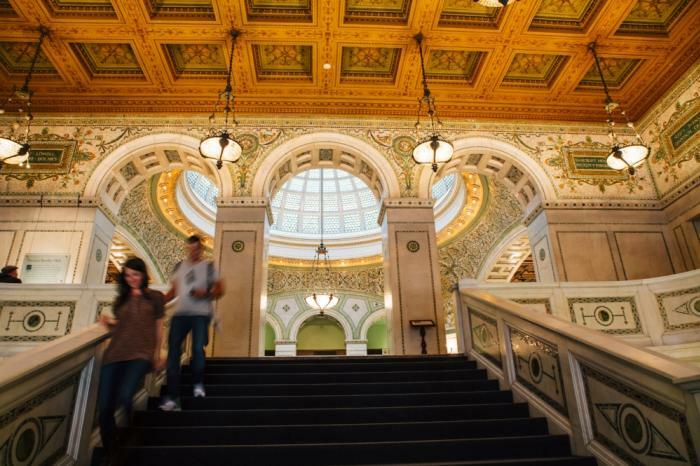 Check out 7 Free Things to Do at the Chicago Cultural Center. The Clarence Buckingham Memorial Fountain, one of the largest in the world, puts on a mind-blowing water, light and sound show for 20 minutes every hour. A center jet shoots water to a height of 150 feet, and though displays begin daily at 9:00 a.m., the best time to see the show is at night, when lights create a truly surreal, magical experience. The final major display begins at 10:35 p.m. 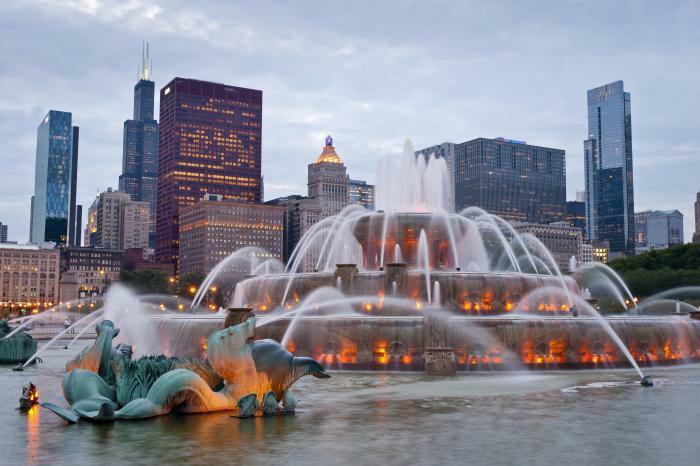 The fountain is located at Columbus Drive (301 East) and Congress Parkway (500 South) in Grant Park, and runs from 8 a.m. to 11:00 p.m. daily, typically from early May through mid-October. Garfield Park Conservatory boasts both display houses and outdoor gardens across its 14 acres. 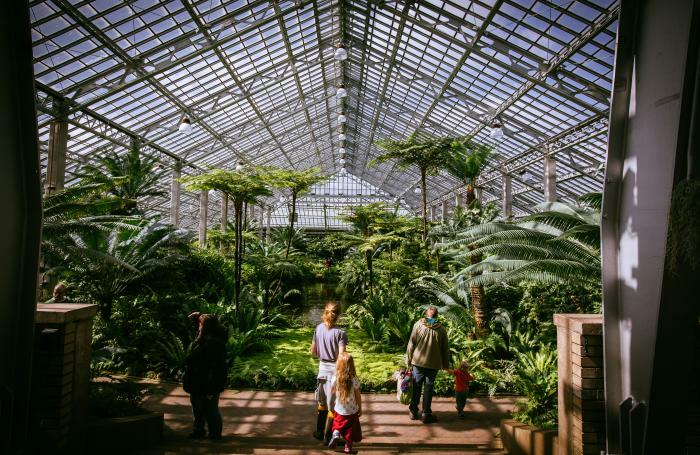 Opened in 1908, the conservatory was designed by renowned landscape architect Jens Jensen, and features rare and exotic plants from around the globe (5,000 varieties in total), it remains one of the largest and most stunning public gardens under glass. Statue Stories Chicago is a free, city-wide arts initiative in which Chicago’s most celebrated writers, actors, and comedians were commissioned to write and voice monologues for 30 statues across the city. The statues “speak” when a smartphone scans a QR code (or it is typed into a browser) on a sign next to the statue. 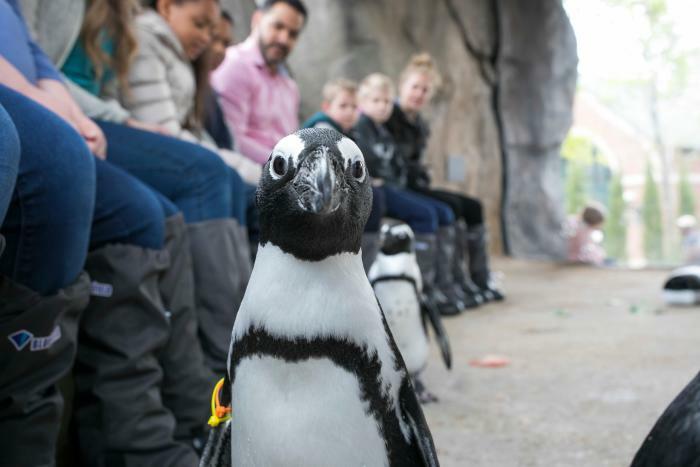 When the phone rings, visitors receive a “call back” from John C. Reilly as Abraham Lincoln or Steve Carell as Man With Fish at the Shedd Aquarium, to name just a few. Together they tell Chicago’s story. The biggest talkers to date are Cloud Gate, Bob Newhart, and the lions guarding the Art Institute of Chicago. Statues in parks across the city are also chatting up a storm, including Renée Fleming as the Spirit of Music in Grant Park, Elizabeth McGovern as the Goddess Hebe in Grant Park, Lamome Morris as the World’s Fair bison in Humboldt Park, Malcolm London as Paul Laurence Dunbar, and David Kersnar as The Tin Man in Oz Park. The initiative was funded by The Richard H. Driehaus Foundation and produced by UK-based Sing London. Since the project’s launch in 2015, over 135,000 users have listened to the statues. Check out the full list of statues, as well as walking tours. Looking for some direction? 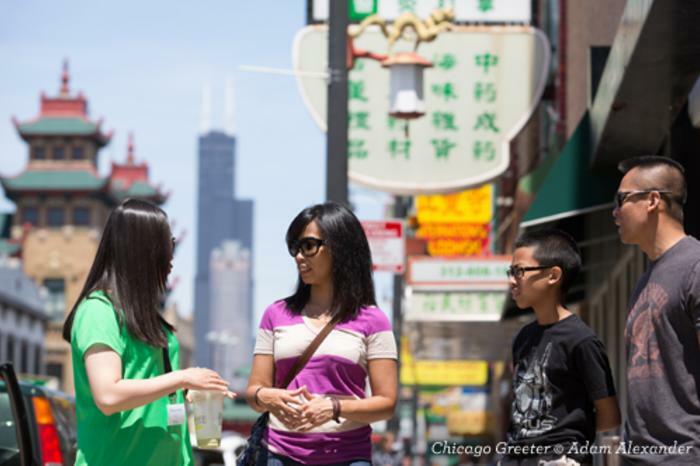 Register in advance for a private, guided walk of Chicago&apos;s neighborhoods. Chicago Greeter is a FREE program that pairs you with a local volunteer who can show you around town and give their own insider&apos;s orientation. Customize your visit based on language spoken and subjects of interest, from history, nature or sports, to architecture and public art. Alternatively, Chicago Walking Tours is an association of independent tour guides that has brought a pay-what-you-want model to eight different cities since it started in 2006. 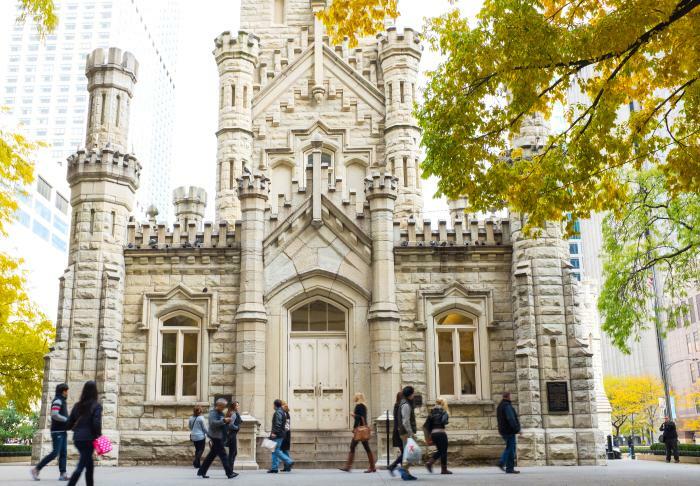 In Chicago, the walking tours include Loop highlights (public art, architecture and history, as well as themed routes like blues music and literary sights. With no upfront costs, you decide on a value at the end of your tour based on your experience and your budget. Chicago&apos;s major museums such as the Art Institute of Chicago and Field Museum of Natural History offer Free Museum Days, where the splendor of vast, world-class collections is at your fingertips for no cost at all. However, a multitude of fascinating Chicago museums are free to the public every day of the week. Here are just a few. 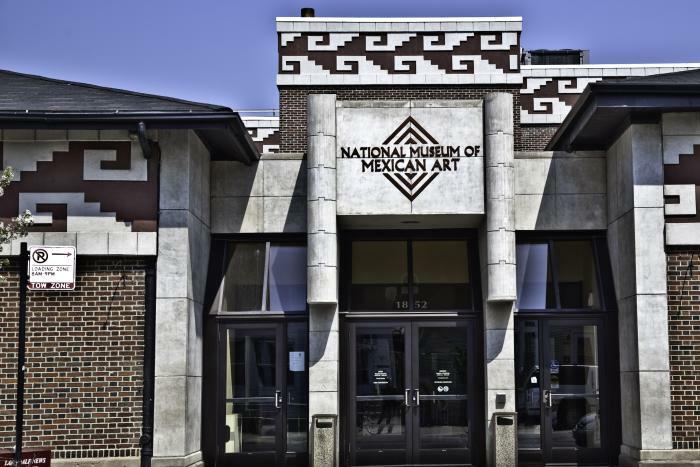 The renowned National Museum of Mexican Art is located in the heart of the Pilsen neighborhood, which is itself rich in Latino history. Wander the halls of this dynamic museum, and you’ll find a collection of more than 10,000 works that bring to life the richness of Mexican art and culture. Look for special cultural performances that include dance, music and theater. Check out current and upcoming exhibits and events. A part of the renowned University of Chicago&apos;s research center for ancient Near Eastern Studies, the museum&apos;s collection of art and archaeology spans the civilizations of Ancient Egypt, Nubia, Persia, Mesopotamia, Syria, and more. Check out the museum&apos;s special exhibits here. 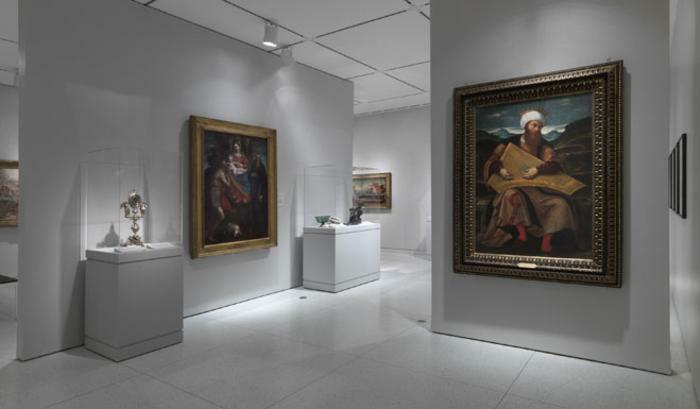 As one of the country&apos;s top academic art museums, the Smart Museum of Art takes an educational approach to the collection, display and interpretation of cultural works. Founded in 1974, the museum has been a hinge point for the fine arts collections of the University of Chicago. Today, it holds more than 15,000 pieces, with some works dating back more than 5,000 years. 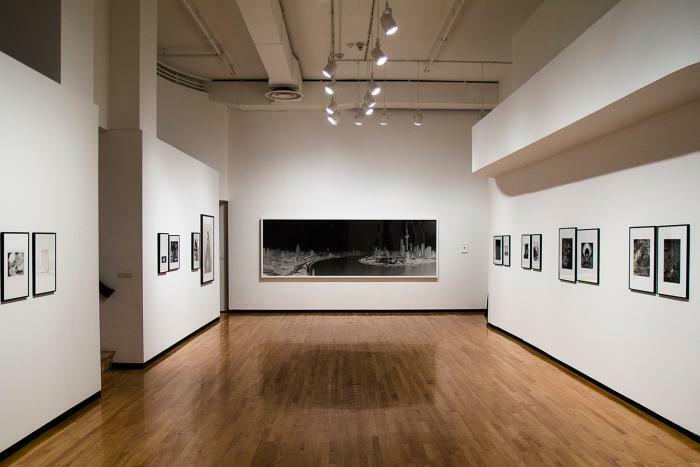 Housed within Columbia College in the South Loop, the Museum of Contemporary Photography is a small but mighty museum, regularly carrying the work of local photographers. The museum’s Midwest Photographers Project cycles through new and established midwest photographers, each examining a different social experience, from the slums of Mumbai to electronics and teens. Check out current and upcoming exhibits. 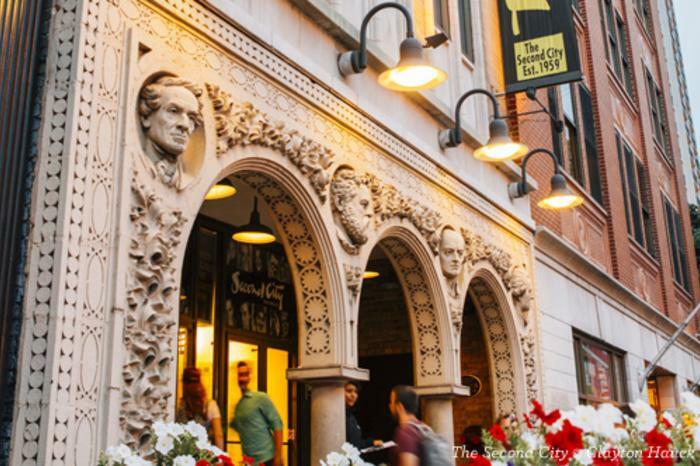 Housed in one of the most iconic Gothic Revival buildings in Chicago, and sitting right in the middle of the Magnificent Mile, the City Gallery is also a frequent venue for thought-provoking rotating exhibits. The building itself was constructed between 1867 and 1869, created for Chicago’s municipal water system. It originally housed a 135-foot iron standpipe used to regulate water pressure. It gained special significance as one of the few buildings to survive the Great Chicago Fire of 1871. Check out current and upcoming exhibits. 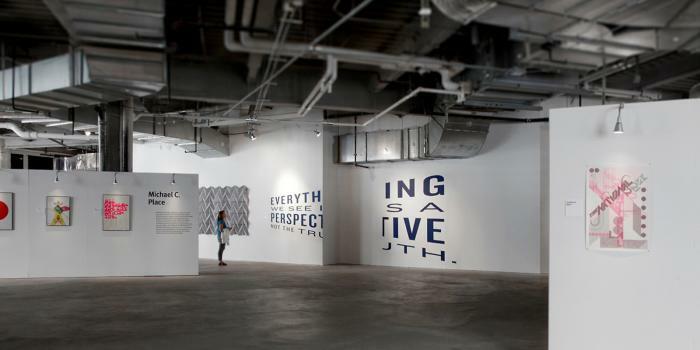 Located at Block 37 on State Street (aka shopping mecca), this tiny (and free) museum displays incredibly creative changing exhibits on everything from design to architecture. Recent exhibitions have included paper arts from around the world, and games in our modern culture. Check out current and upcoming exhibits. 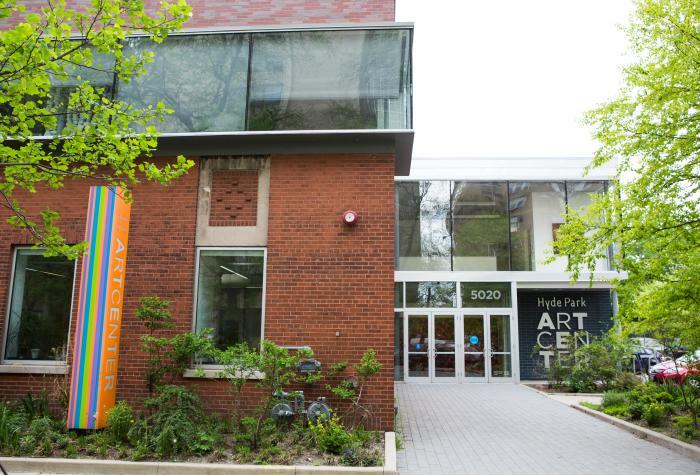 Founded in 1939, the Hyde Park Art Center is a combination of contemporary art exhibition space, learning lab, community resource, and social hub for artists and the "art curious." As the institution explains, "The Art Center functions as an amplifier for today and tomorrow’s creative voices, providing the space to cultivate and create new work and connections." Check out current and upcoming exhibits. In the summer, the city&apos;s downtown and lakefront are filled with the sound of sublime song, slide guitars, haunting violins and sultry saxes, as revelers dance, mingle and celebrate the city&apos;s astounding contribution to music through a series of free festivals. Six in particular bring together the very best in House, Gospel, Blues, Jazz, Classical and World Music. Check them out here. 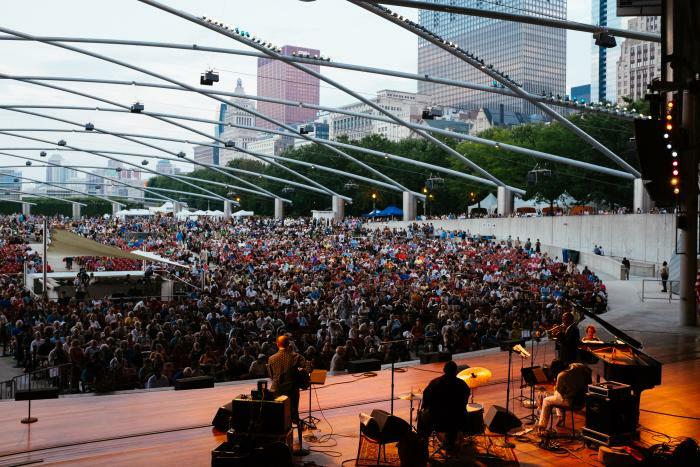 Chicago packs a full calendar of free-admission festivals, parades and special events throughout the year, with summer being the high season. During SummerDance, free dance lessons combine with live music on the alfresco stage. Thrill-seekers catch high-speed stunts at the Chicago Air and Water Show. Food lovers pack Grant Park during Taste of Chicago for local eats priced as tasting portions. And architecture and history buffs go exploring during Open House Chicago. For a lively weekend, head to one of the hundred street festivals that pop up in Chicago&apos;s neighborhoods. 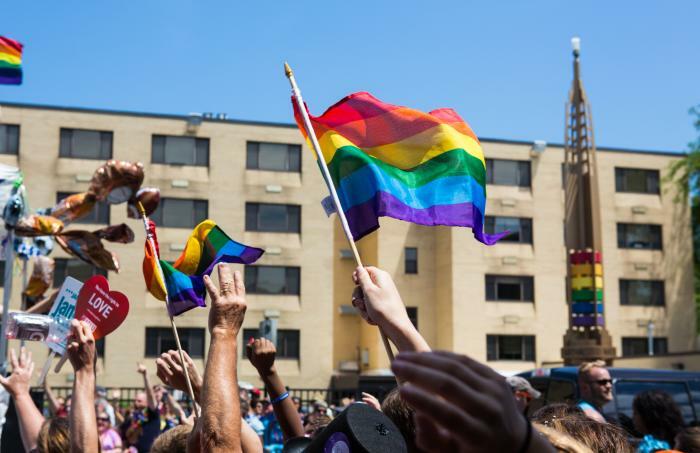 Celebrating everything from LGBTQ+ pride to cultural heritage, these outdoor parties offer food, drink, shopping and entertainment — generally for free or for a small donation. Parades add to the festive mix, from St. Patrick&apos;s Day traditions of dyeing the Chicago River green to the city&apos;s holiday kick-off event, the Magnificent Mile Lights Festival. Consider an attractions pass from Chicago CityPASS or a Go Chicago Card for discounted access to Chicago’s most famous sights. With Chicago CityPASS, one ticket booklet saves you 52% or more on VIP admission (within a nine-day timeframe) to five of the city&apos;s must-sees, including The Field Museum, Shedd Aquarium, and Skydeck Chicago. 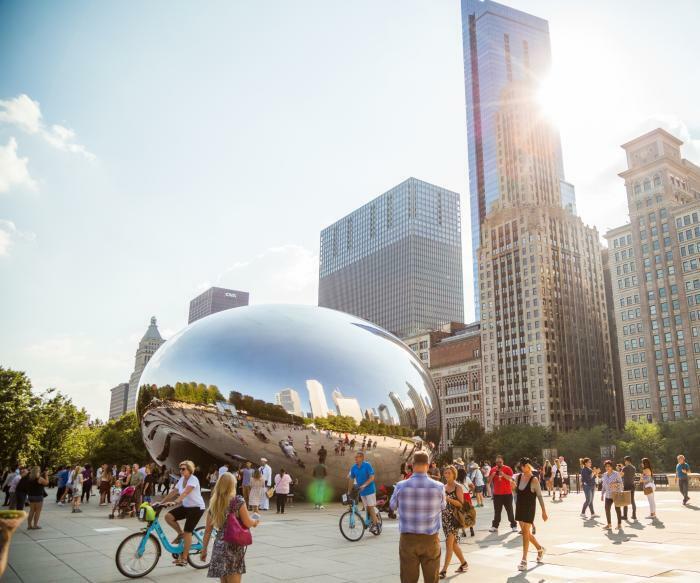 With the Go Chicago Card, multi-day card options include admission to 25 different Chicago attractions, from museums and tours to amusement rides and bicycle rentals. Check out 10 Hot Shows to See in Chicago this month.